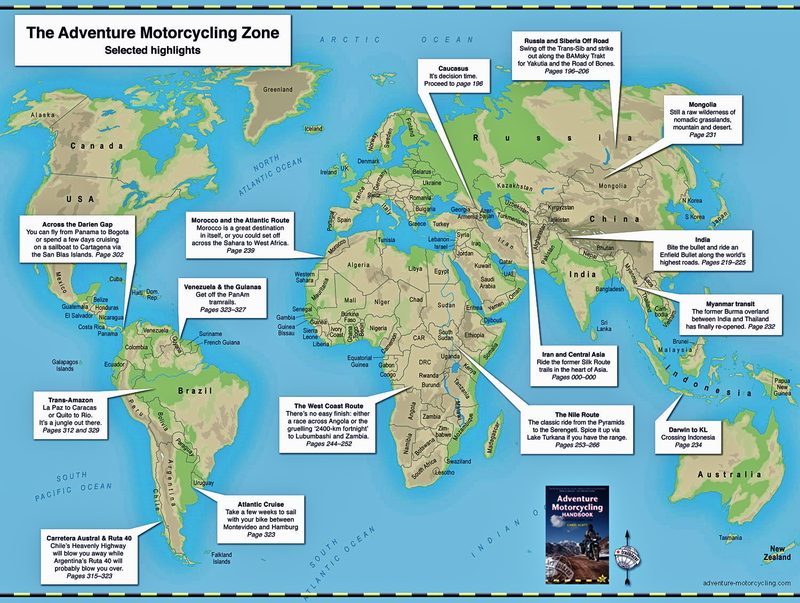 So says the back cover of The Street Riding Years, my memoir which has been the top seller on Amazon Kindle > Motorcycles > History for a few months now. An unexpected benefit of the book’s popularity has been people I knew from that era getting in touch. A few of my co-squatters from Gower Street have found the book and made contact, and several long-forgotten riders from Security Despatch – some in the image above right – have also read the book and tracked me down with their own recollections. 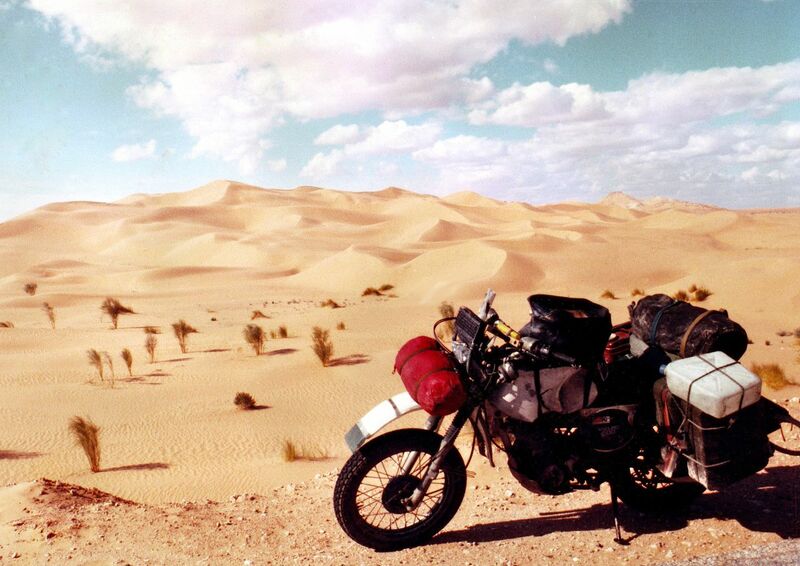 And as you may have read, the interview with me in the March issue of Bike magazine inspired the current owner of my first Sahara bike – a ’78 XT500 – to get in touch. 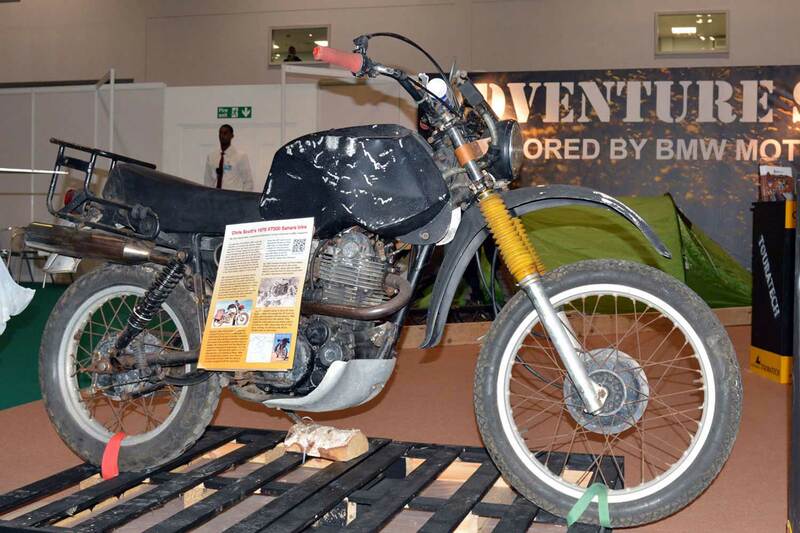 That in turn led to the little-changed hack being displayed on my stand at the 2015 London Motorcycle Show earlier this month. That’s me up on the left in 1982 on Camden High Street (not ‘Camden High Road‘ etc …), just back from the desert (below left; full story on that here). 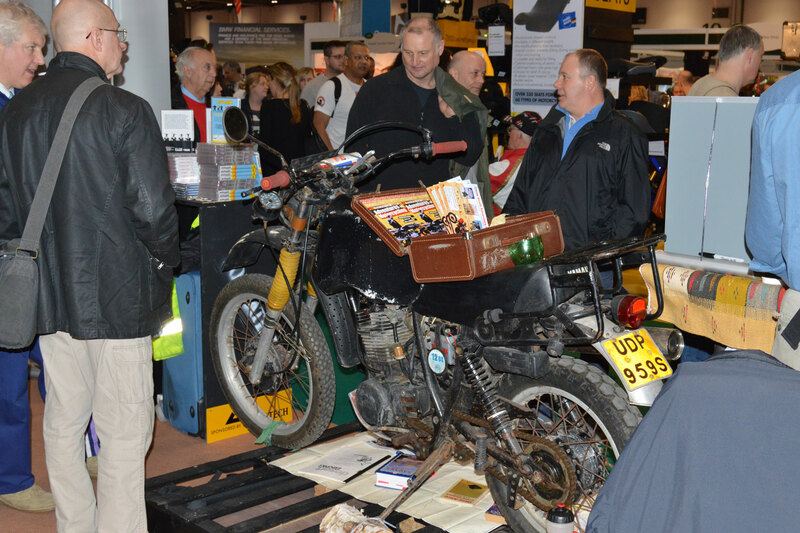 And now on the right, 33 years later, the XT draws periodic crowds at the Bike Show. 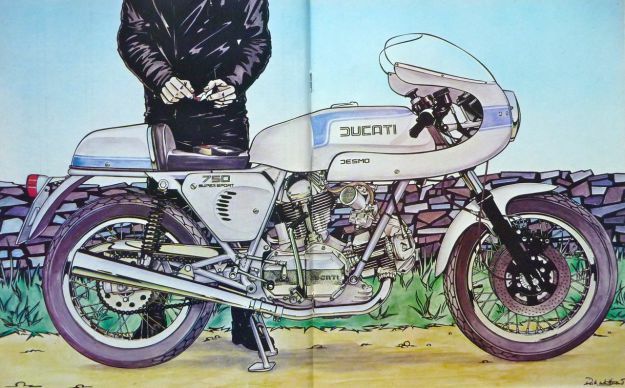 Even more amazing is that the guy who bought my Ducati 900SS off me in 1980 emailed me the other month to ask if I am who I was then. 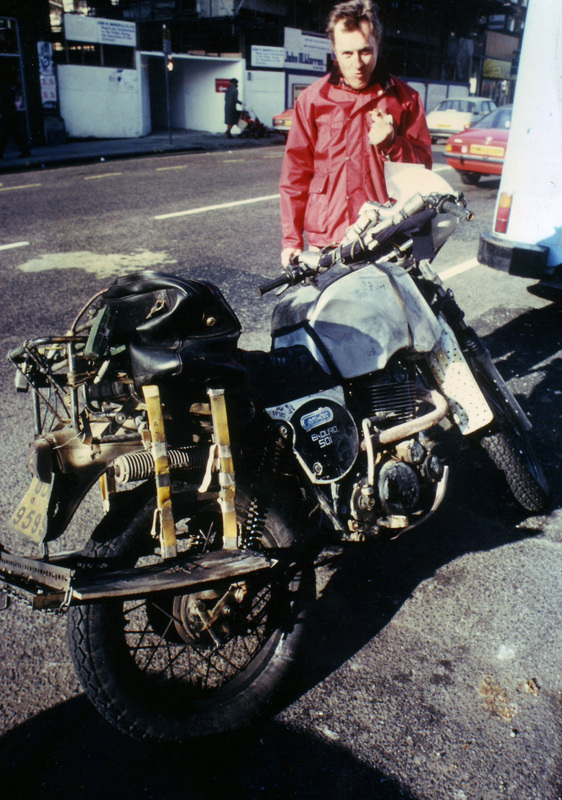 He also still owns the bike so it seems that, as with the XT, timely breakdowns (in the SS’s case, broken gearbox) have enabled both bikes to safely dodge the unbending arc of entropy these past few decades. 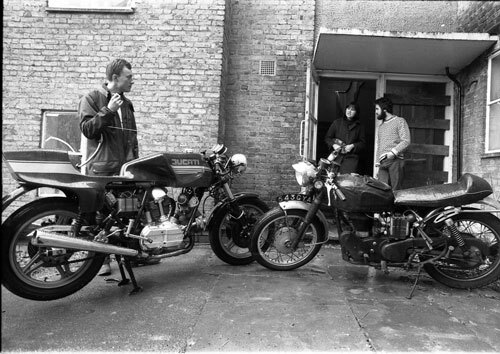 The Desmo is featured on the book’s cover, adapted from the image, left, taken outside our Muswell Hill squat, from where the new owner picked up the bike in the late winter of 1981. Alongside my bike is AJ’s Velocette and clamped under my arm, the rear brake pedal from my annoyingly indestructible Hondamatic work bike, presumably in need of straightening. Since then the Ducati (right – owner’s pic) has been re-faired and has acquired a set of knee-burning, high-level Imola pipes, but otherwise ‘AMG’ survives intact. There’s talk of me doing a presentation for Ducati man’s bike club in Bristol, and as the XT’s owner lives not too far away and may have it running by then, it could be quite a reunion with two of my old flames: my first desert bike and the unforgettable 900SS street racer which crowns a category all of its own. 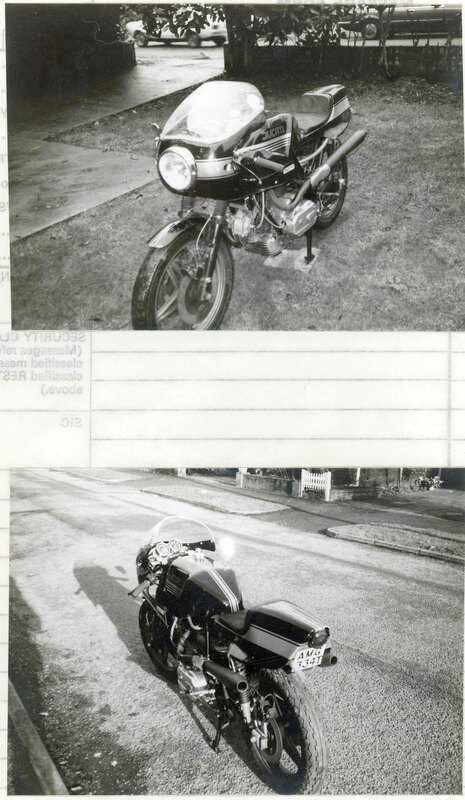 This entry was posted in AMH News, Street Riding Years and tagged chris scott, Ducati 900SS, Security Despatch, The Street Riding Years, Yamaha XT500. Bookmark the permalink.